A linked list is a linear collection of data elements, called nodes pointing to the next node by means of a pointer. It is a data structure consisting of a group of nodes which together represent a sequence. 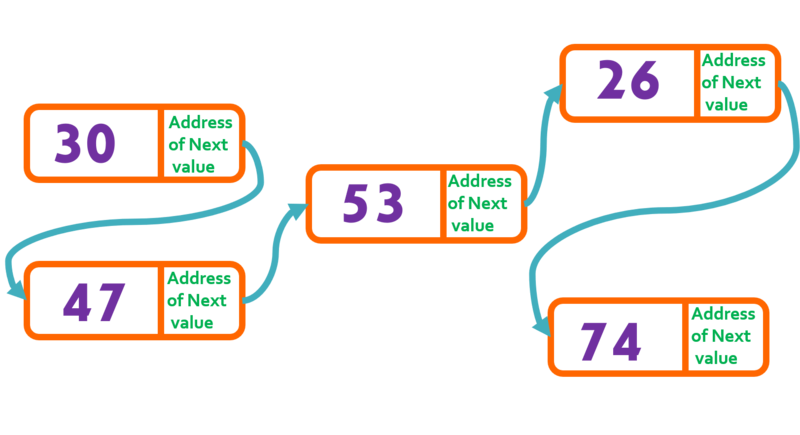 Under the simplest form, each node is composed of data and a reference (in other words, a link) to the next node in the sequence; more complex variants add additional links. This structure allows for efficient insertion or removal of elements from any position in the sequence.